Melba LeFevre passed away in a peaceful sleep on November 23, 2018. She had spent the last year residing in the Walbridge Wing in the Meeker Pioneers Hospital and had lived in Meeker all of her life. She was married to Clifford Lumpkin from 1947 until his passing in 1948. A son Daryl, was born to the marriage August 16, 1947. Melba then married her life partner, Don, on June 17, 1950 with their daughter Darlene born July 29, 1952. Don and Melba enjoyed traveling, camping, and snowmobiling in the beautiful mountains around Meeker. She had worked for Watts Ranch Market and Jirak’s Rexall drug store before retiring from work. 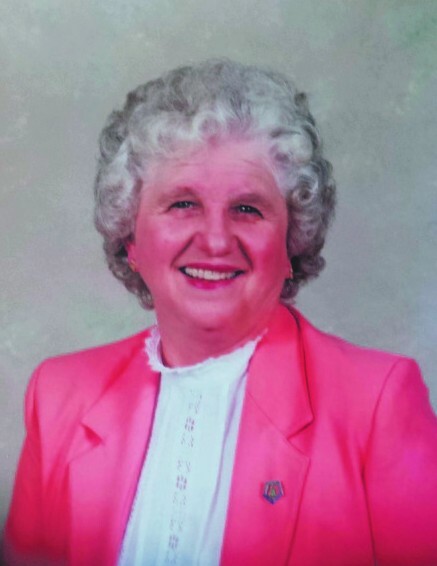 Her most enjoyable times were spent traveling as a Colorado State officer with the Order of Eastern Star Lodge when they visited many states in the Eastern United States and Hawaii. She and Don could always be found enjoying their favorite pastime of dancing at any and all get togethers. Melba was a wonderful cook and hosted almost all the family dinners during the Holiday seasons. She cared deeply for the well-being and health of all of her family. She leaves to mourn her passing a sister Maxine (George) Reid; son Daryl and grandson Tony and family Sara, Dominic and Isaac; and daughter Darlene Massey and Granddaughters April Massey and grandkids Angel and Selena, and Sonja (Steve) Cook and several great grandkids, nieces and nephews.